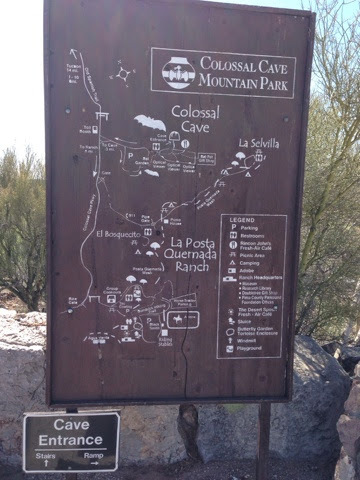 There is another cave in the area called Colossal Cave and it was my destination for the day. 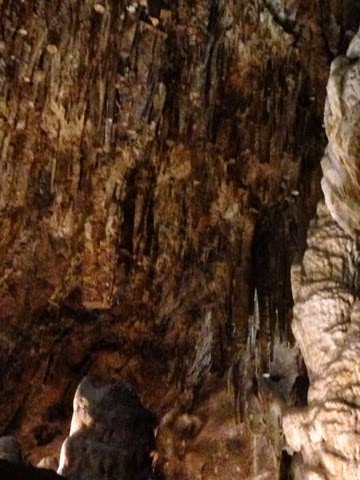 Having been to Kartchner Cave I thought this would be good to see as well. I got on the 10:45 tour just before the 2 small bus loads of school children got their tour. 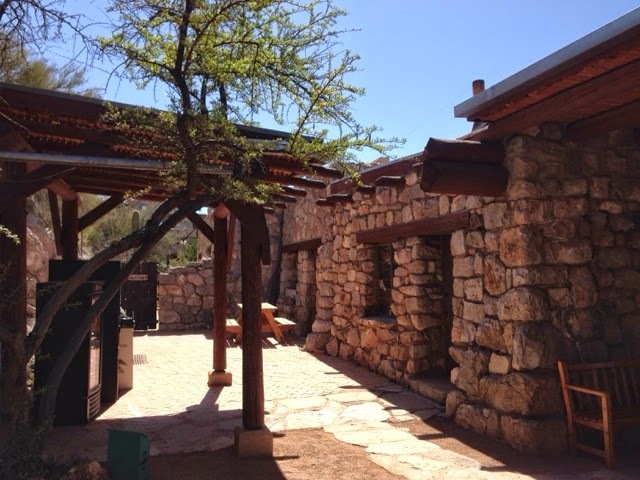 The visitors building was nicely built and fit well in the surrounding environment. 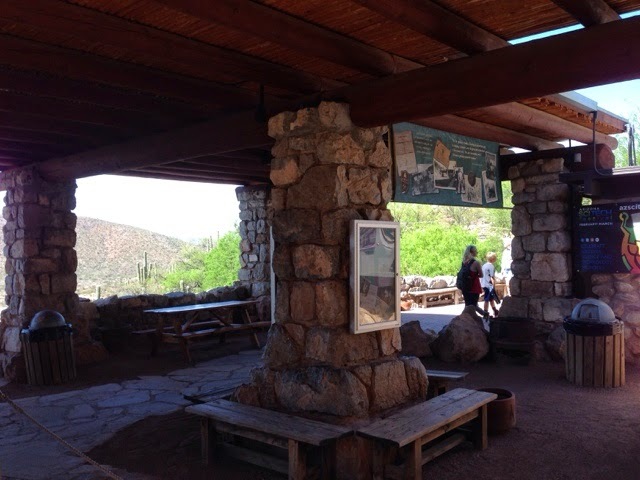 We learned from our guide that the grounds were developed by the CCC (Civilian Conservation Corps) during the 1930's when the buildings were built and the cave walkways and stairs were made. 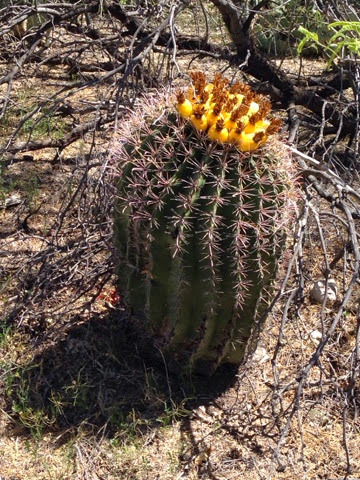 Hohocam people that vanished over 1000 years ago after flourishing in AZ for hundreds of years. After it's discovery it was used by outlaws and specifically a group that robbed the trains that traveled in the area. One specific event that occurred after a series of train robberies the pose trapped the bandits in the cave. They set up outside the entrance and waited for a week for then to give up, only to be told that the bandits were in another town. They had excsped from another entrance that was not known by other than the bandits. The pose eventually caught up with the bandits and a gun fighht killed one and they caught another and he went to jail, but the money was never found. 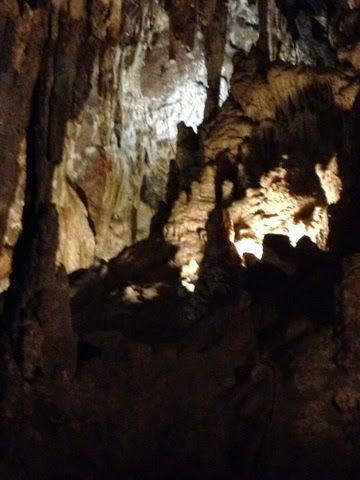 Our guide who gives the climbing & crawling tour said he has search the cave and has yet to find anything. 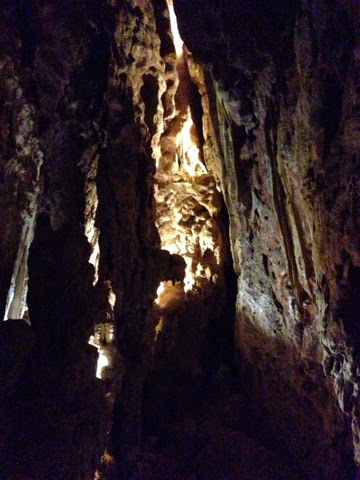 Stories like this one makes the image of this cave more exciting, but the cave formations are currently dead as no water enters the cave anymore, where the Kartchner is still forming and they are sensitive to any toning fingers where here it is touch all you want. So the Kartchner is more for adults and the Colossal are more for kids, but both are interesting in their own way. The Colossal also gives climbing tours to parts of the cave the standard tour doesn't go. The standard tour is $13.00 and the special tour is $25.00 and you need to crawl through openings and you are required to have gloves. So bring them so you don't ave to buy them. 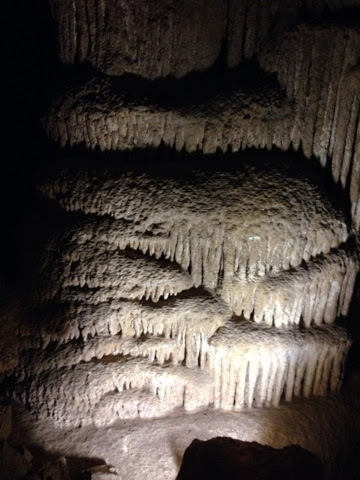 The Colossal not bring active forming has dust on the formations so the color of the formations are dull. Also, many formations were broken off by people until the 1920's when a private investor bought the land and made a tour out of it. For many years people came and went taking what they wanted. Kartchner on the other hand is preserved. I was about to ask a question about the possibility of other caves in the area and our guide stated that there is another cave in the area that was found but it's location stays unpublicized as they found a hole that lead to a cavern where they found some artifacts and animal remains that are no longer found in this area, so the area is under study. I was going to ask the question as the geological formations for how this and the Kartchner Caves were formed are common for the area, so it would be logical that others exist. 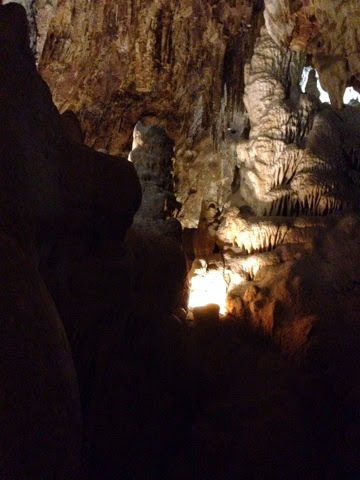 Our tour was 45 minutes but the one you climb down and through is about 3 hours. 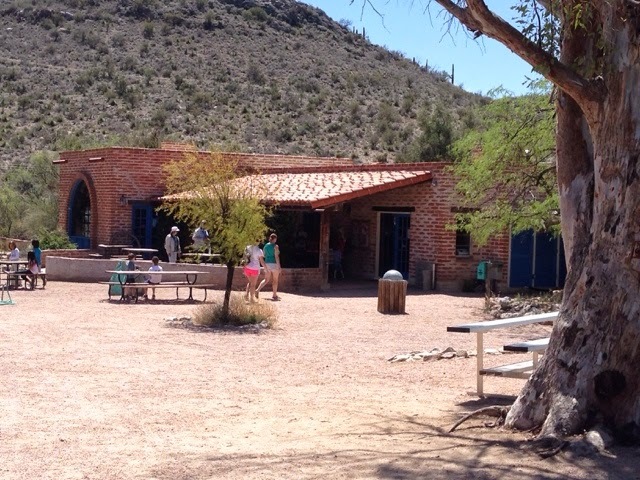 The park has a camping and picnic grounds and a ranch. 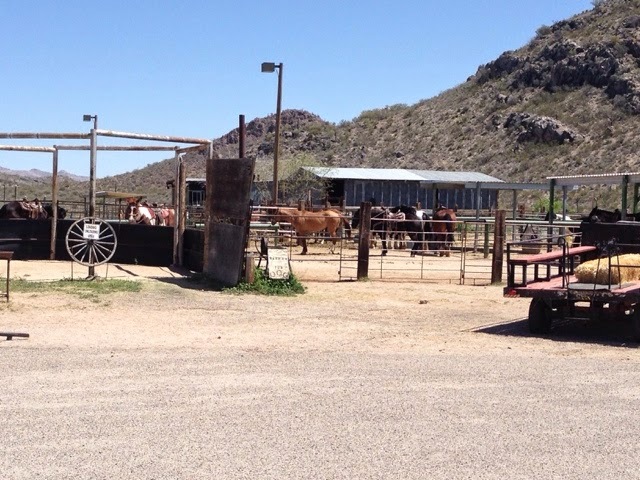 I drove to the ranch to see what it is all about. The main attraction is for kids to take horse rides and pan for gold. 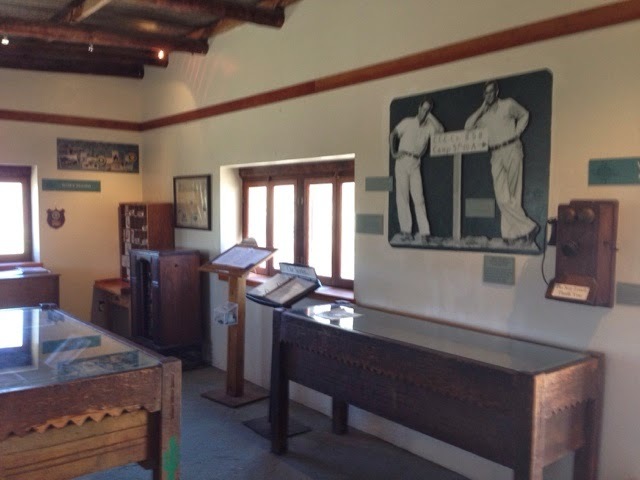 There is a nice museum and gift shop as well. This was an interesting artifact. 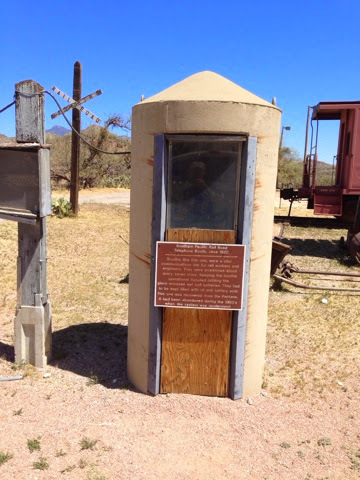 It was a phone booth that used to be on the rail line every 7 miles that contained a phone and batteries to relay the phone calls and signals. I have to do laundry every week or so and this afternoon I had time to do it. The landronat I picked used the RFID chip card like the one near Phoenix. 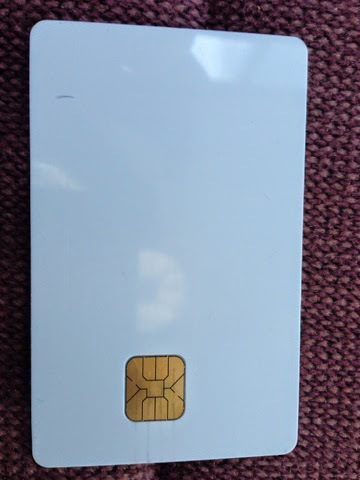 I brought my card in and the machine, although identical to the other one would not take the other card. So I needed to but yet another RFID card and put money on it to use the machines. 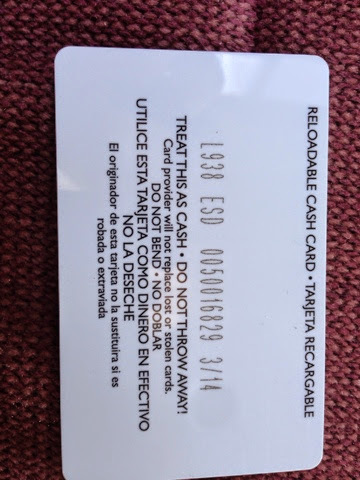 This is getting to be a racket having to buy cards each time for $2.00 that can only be used at one laundromat. I brought a lot of quarters with me and have only used them a few times. 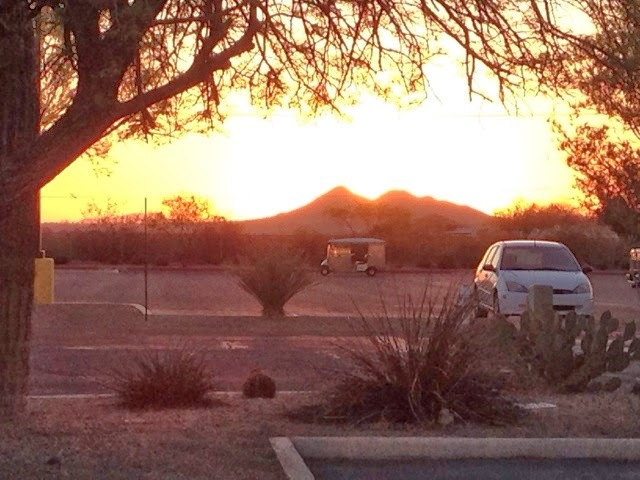 Here is the sunset for the night.